Today is Pi Day. Annie didn't understand the whole mathematics reference so she suggested we celebrate with a pie from Urban Pi. Since the "Pi" is the same spelling, I thought that was OK, especially since it is my fave pizza. What a great way to learn about math. Pizza! Bear would approve! :) Happy Pi Day! OMC! That is the tastiest-looking pizza pi ever! We bet there wasn't a single crumb left over. Are we right? If there were any crumbs, we would swoop in and help clean them up! 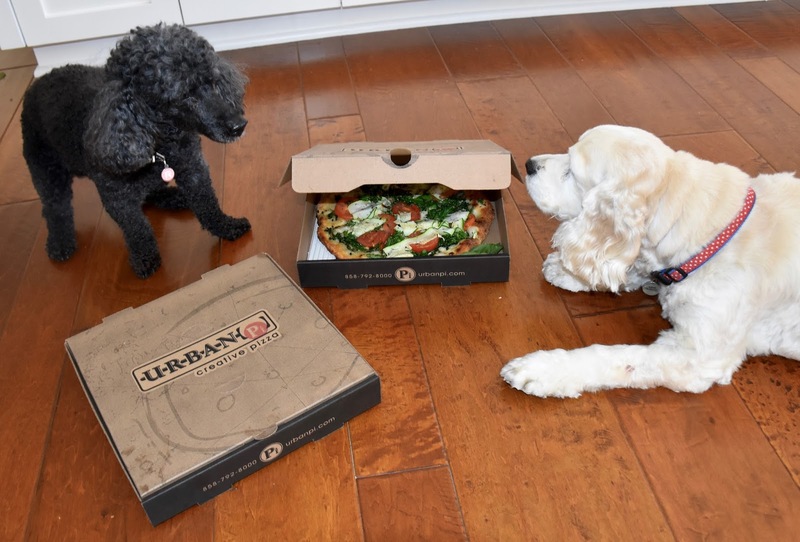 A good time to get some good pizza for the day and it seems like the two puppies are also ready to get some pizza down their stomach. Enjoy the party and post next article soon.